“Under the instructions of those short-selling agencies, some so-called Chinese investment institutions were trying to fuel negative market sentiment and destroy our company's reputation. We strongly condemn such behaviors,” the company said. 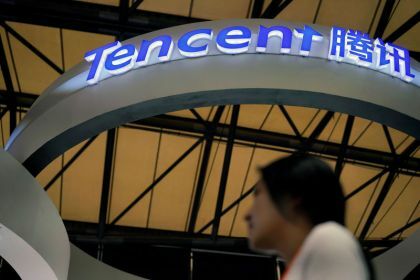 China Internet Nationwide Financial Services Inc. (Nasdaq: CIFS), a Beijing-based company that began trading on Nasdaq last summer, defended itself Friday against increasing media scrutiny by issuing a letter to shareholders and clients on its official website. "Recently, in order to earn more speculative gains, short-seller Muddy Waters Capital restated its short position on CIFS in a Twitter post," CIFS said in its letter. "Under the instructions of those short-selling agencies, some so-called Chinese investment institutions were trying to fuel negative market sentiment and destroy our company's reputation. We strongly condemn such behaviors," the company said. "The company hereby declares that it strongly condemns this use of conspiracy means, stealing information, pulling information out of context, and making up false accusations, and will continue to take legal sections to protect the interests of the company and all shareholders. At the same time, the company wanted to remind all shareholders not to listen to and disseminate false rumors in the market, and to rationally make investment decisions so as to avoid unnecessary investment losses. 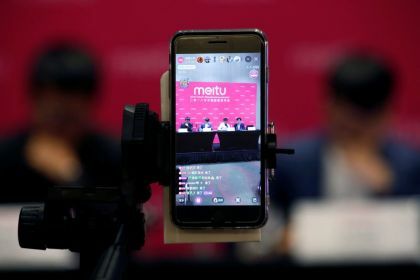 To all companies that cooperate with our company, don't trust the media, don't accept their interview requests, and don't create opportunities for those malicious investment institutions to short our company's stock," the company said. "At present, all the company's operations are normal," it continued, "and all businesses are promoted in accordance with the well-established strategy of the board of directors." Shares in the company closed down in New York today at $17.33 per share, off nearly 8 percent, and more than 45 percent below its trading price a week ago. 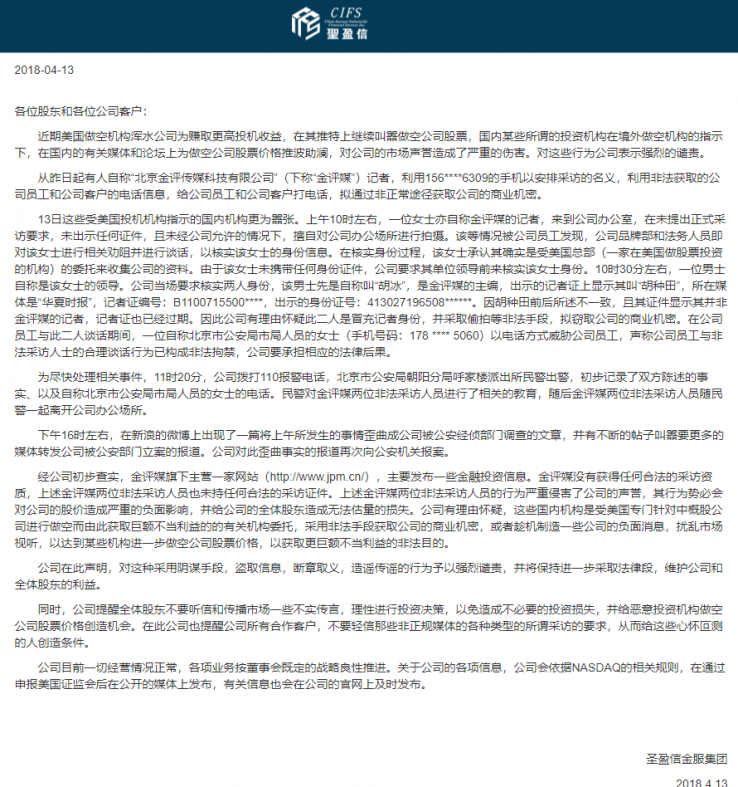 In the letter, CIFS particularly pointed to JPM.cn, a Beijing-based website covering the FinTech industry, claiming that "JPM's reporters used telephone information obtained from illegal methods to call company employees and customers in an attempt to obtain company trade secrets." After a reporter for JPM.cn visited the company seeking an interview, CIFS contacted the police to remove the journalist from its offices. 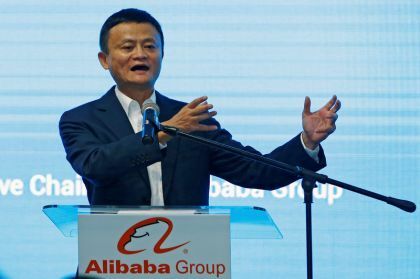 "We are just trying to get both sides of the story," said Jiang Zhu, CEO of JPM.cn, which is an affiliate of CapitalWatch.com. "Our reporter simply called the company's contact numbers, which are listed on the website, to request an interview." "After Muddy Waters' research, our reporters are trying to give CIFS a chance to respond and defend themselves against the accusations in the research by requesting an interview," Zhu said. "Unfortunately, they chose to involve the police." JPM.cn is not the only media outlet researching CIFS. The online news site lanjinger.com has also looked into CIFS's affiliated companies. "There are seven affiliated companies under [CEO] Jianxin Lin, CIFS's legal representative, and those companies are mainly located in Jiangxi, Fujian, and Beijing," according to a report Thursday on lanjinger.com. "Among them, Shishi Shengqi Textile Trade Co., Ltd. was sued by Fujian Shishi Rural Commercial Bank Co., Ltd. at the end of 2016 for not paying back several debt-related liabilities," the report said. 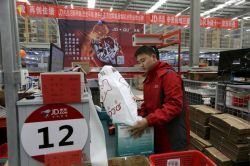 Another affiliated company, Toprule, also under Jianxin Lin, is believed to be doing offline promotion for its short-term investment products, the online report said. However, the China Banking Regulatory Commission issued regulations in December banning all P2P platforms from conducting any large-scale offline marketing. Short-seller Muddy Waters Research reminded the public in a Twitter post a week ago that it concluded CIFS was a "complete fraud, total zero" in a December 2017 report. In its recent post, it reiterated its conclusion: "Full disclosure, we're still short." Immediately after the Tweet, China Internet's stock fell 18 percent from nearly $32 per share, and started its multi-day plummet that resulted in the current five-day plunge. 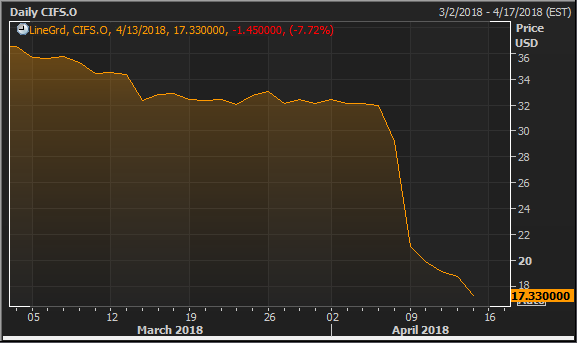 Shares in CIFS dropped dramatically last week after short-seller Muddy Waters reiterated its negative view. In its December report, Muddy Waters said it found that "zero to almost none of CIFS's purported business is real," and that the company's loans, revenue, and profit, as well as the deals with its counterparties, appeared fabricated. For example, the report included photographs taken at a non-functioning business address of Beijing Ailirui Trading Co. Ltd., one of China Internet's purported borrowers. The research by Muddy Waters was based on financials from the State Administration of Industry and Commerce (SAIC), among other sources, it said at the time. 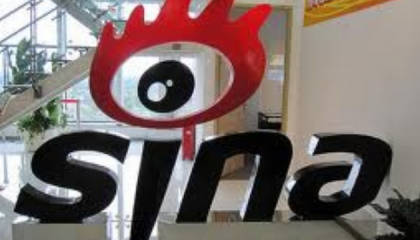 In response, CIFS issued a statement on its official Weibo account the next day, saying that the company was considering launching a full investigation and might seek legal action against what it claimed were Muddy Waters' irresponsible and baseless accusations. "The Special Committee has decided to retain a top-tier international law firm to conduct an independent third-party investigation into these accusations. We look forward to providing investors and other interested parties with the results of the investigation shortly," said Hong Huang, chairman of the's company's special committee. Nearly four months later, the company said this week that the investigation has not yet been completed, but that it has been cooperating and expected it to conclude "soon." The company repeated that it had hired a law firm based in New York City, Shearman & Sterling, and KPMG Advisory (China) Ltd., a global audit and advisory firm, to conduct the investigation.